Singapore-bound jockey Ben Thompson hopes Fact Or Fable can win at Ballarat before he leaves. Despite securing a licence to ride in Singapore, Ben Thompson will not be resting before his departure. Thompson begins a 12-month tenure in Singapore on January 1, but before leaving it is business as usual for the Melbourne-based rider. A recent two-day trip to Singapore, where he landed his first Group victory, whetted his appetite for an extended stay next year. “It’s a great opportunity and I’m very lucky to be given it,” Thompson said. “It will be a great challenge and one I’m looking forward to. 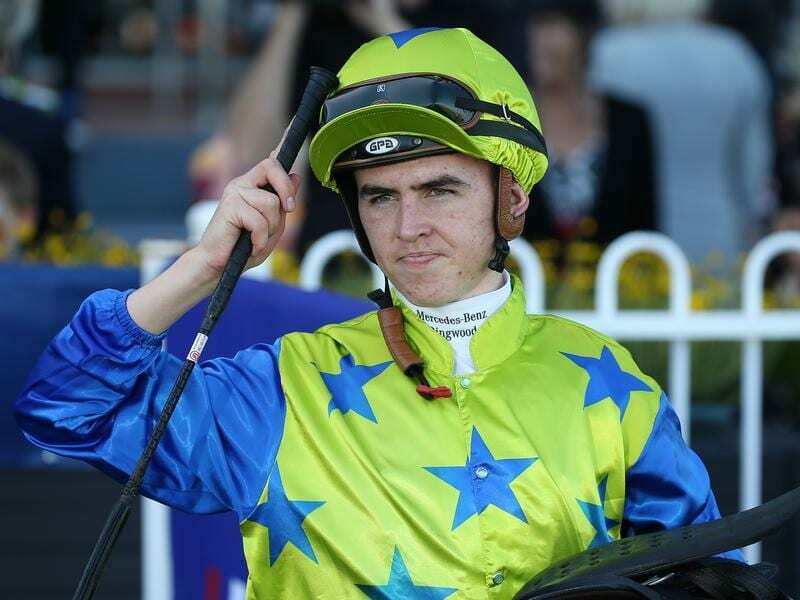 “I won a race on the Friday, my first black-type race, and on the Sunday I was chatting to (former Racing Victoria steward) Terry Bailey and he spoke to me about an opportunity of taking out a licence for the coming season. Thompson, who turns 22 later next month, is looking forward to riding more winners at home before Christmas and hopes to guide Fact Or Fable to success in the Magic Millions Clockwise Classic at Ballarat on Saturday. Thompson did some of the educational work aboard the filly and partnered her in a jump-out at Ballarat last week. “I really like her. She’s really easy going, a lovely natured filly,” Thompson said. “I trialled her at Cranbourne in a jump-out a couple of weeks ago and did so again at Ballarat last week. Thompson said trainer Robbie Griffiths had pinpointed Saturday’s race to kick off Fact Or Fable’s career and said the filly had done a lot of work right-handed at Cranbourne. “I’m sure the least of Robbie’s worries is her handling the race conditions going that way,” he said. “It’s just a matter of how she measures up from that draw (9).